We always prefer to make pecan pies from scratch. 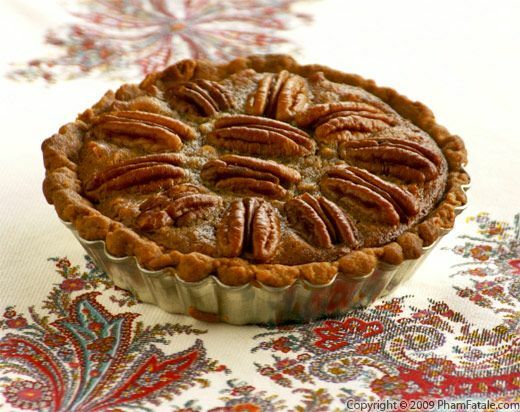 Pecans are fairly expensive, and I've found that the pies sold at stores really skimp on the namesake nut to cut costs. They tend to be very egg-y, almost like a lemon curd, with only a layer of pecans on the top. This recipe, by contrast, is richer and absolutely loaded with pecans. Molasses, dark corn syrup and brown sugar combine to form the base of the pie filling. To this, I whisk in eggs and chopped pecans. I also add a touch of anise extract to the filling. The licorice flavor really accentuates the molasses. 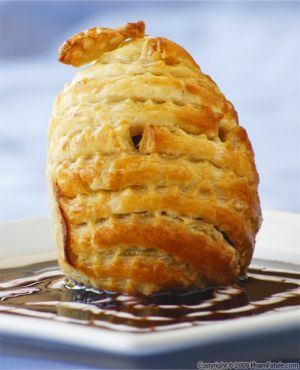 When it's fully baked, it has a wonderfully dense and gooey texture. Even the crust is flavored with pecans. To the flour, butter and sugar I added some pecan mill. I first baked just the crust and then smeared it with a thin layer of Nutella. Nutella has hazelnuts in it, but I think it provides a nice flavor contrast to the pecans. And seriously, what does Nutella not go with? If you make just one homemade pie for Thanksgiving this year, make a pecan pie. It will cost about the same as a store-bought version, but there's no comparison. 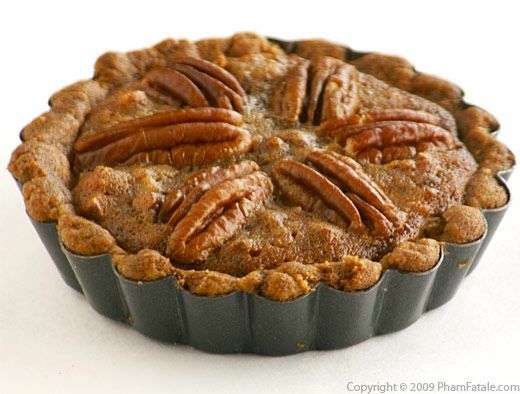 For the pecan pie shells: Place the dough in 12 individual non-stick tart molds previously buttered (or in a 9-inch pie pan). Prick the dough with a fork. Chill in the refrigerator for about 30 minutes (or overnight). Line the dough with a square of parchment paper and top with ceramic pie weights (or dried beans). Place the pie shells on a baking sheet and bake for about 12-14 minutes. Allow to cool to room temperature. Remove the pie weights and discard the pieces of parchment paper. Spread about 2 teaspoons of Nutella inside the pie shells. Set aside. How to roast pecans: Reserve about 100 pecan halves (2 cups pecans) and roast the rest of the nuts. To release all the flavor and oil of the pecans, I like to roast them in the oven for about 10 minutes at 325°F before chopping them. Let them cool and chop them finely. 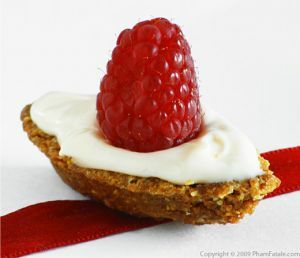 For the pecan filling: Using an electric mixer, whisk the eggs with granulated sugar until you get a pale, yellow foam. Add the anise extract and salt. In another bowl, cream the butter with the brown sugar. Add 1/3 cup of molasses and corn syrup. Combine the egg mixture with the creamed butter. Pour the pecan filling in a saucepan. Cook over low heat (simmer) for about 8 minutes, stirring constantly, until the mixture is thickened. Turn off the heat. Add the chopped pecans. Assembly time: Fill the pie shells with the warm pecan filling. Decorate with the remaining halved pecans. Loosely cover the molds with a sheet of aluminum foil to prevent the pie shells from burning and bake for 15 minutes at 375°F. Remove the aluminum sheet and lower the temperature to 350°F for another 10 minutes. How to make molasses and butter pecan whipped cream: Whip the cold heavy cream with 1/4 cup of molasses and the butter pecan extract. Transfer to a little bowl and store in the refrigerator. Serve the pecan pie warm with a little (or a lot!) of molasses and butter pecan whipped cream. You can use any sugar pie shells; I like the addition of nut mill in the dough. 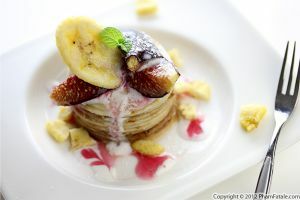 Check the dough recipe for the maple pecan fig tart. I think it's best to make the pecan pie dough a day in advance. Store it in the refrigerator overnight. The dough will be easier to roll and won't be crumbly. I use McCormick anise extract. If you don't have any, you can use star anise seeds. Dry roast them and grind them finely in a mortar and pestle. If you want to be extra cautious, you can cook the pecan filling in a double boiler to ensure the eggs don't curdle. Making molasses and butter pecan-flavored whipped cream is very easy. 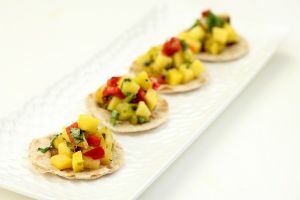 It tastes great on its own and makes a perfect treat for those clandestine trips to the fridge late at night. Just make sure your handheld beater is clean prior to whipping the cream for optimum results. This is also a good topping for smoothies. I found butter and pecan extract at my local market but you can also find it online or replace it with vanilla extract or any other flavorings that you like such as cinnamon, maple or even cognac. 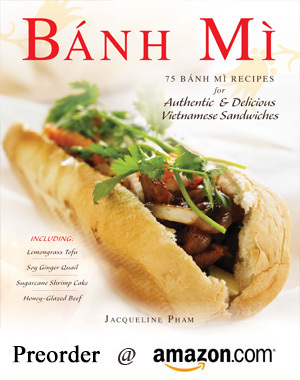 Published By: Jacqueline Pham on November 13, 2009. Oh my goodness...wouldn't these be fun to serve ....sweet and 'sweet'. Anything with Nutella is amazing. I can only imagine how the pecan pie tastes. I only have a full size pie pan. Do you know how long it would bake? I would bake the pie an extra 5 to 10 minutes until the pie shell is golden brown and the filling is set (firm to the touch). 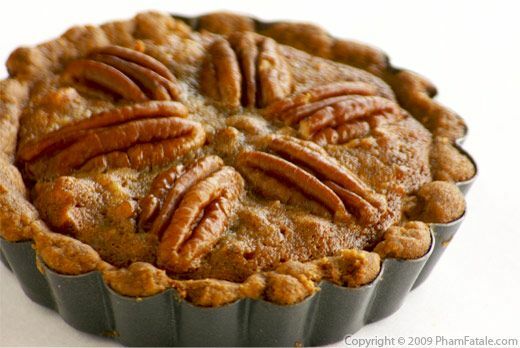 Another trick to make sure the pecan filling is ready, is to reach an internal temperature of 175°F. Hope this helps! these are so beautiful, I love the nutella...who doesn't?